To help understand the effects of small or medium-sized projects, (as opposed to larger-scale regeneration programmes). To look at the effects of projects that involve local people as workers, volunteers or beneficiaries. To organisations concerned with local community involvement. To those interested in evaluating a project’s effect on social exclusion and other quality of life issues. Prove it! seeks to make data collection itself part of the process of regeneration, with local people involved in a project’s evaluation as well as its delivery. Prove it! Toolkit is made up of files containing instructions for running participative workshops, designing simple questionnaires and inputting data that allow a thorough and robust exploration of a project’s impact. The aim is to make it easier for organisations to take those first steps towards undertaking effective impact measurement. A Storyboard exercise for understanding how a project’s intended activities will lead to change. A Survey Questionnaire to be used at the start and end of the project. A Poster Evaluation exercise in order to reflect at the end of a project on its impacts and the lessons that have been learnt. In addition there are notes, guidance and templates provided to assist project managers in planning the evaluation process and presenting findings. Measuring social outcomes can help to demonstrate the full value of regeneration or other local improvement activities to external bodies, such as funders. There is widespread recognition among policy-makers that evaluation often fails to involve local people, which Prove It! effectively addresses. Prove It! can provide a comprehensive story or hypothesis for a project. With a strong hypothesis established at the start, a better case can be made at the end that a particular intervention has brought about the changes. The tool is relatively simple to use and has some scope for flexibility and adaptability to an organisation’s specific needs and can be used for a wide variety of projects, not just regeneration. Its participative process can help involve local people and help contribute to the building of trust in the community so that the collection of data becomes part of the process of regeneration itself. This can help to build capacity of local groups and people and galvanise further action in other areas. Prove it! may be useful as a complement to other evaluation tools. Where the Prove it! questionnaire is not sufficient or appropriate for collecting data, other methods should be sought to demonstrate change and distance travelled. As with all participative forms of evaluation, there is a need for caution in labelling certain people or groups of people as ‘local’ or representative of ‘the community’. There is potential for the exclusion of voices of groups or individuals in the local community as well as the potential for local pressure groups dominating the evaluation. A participative process may bias the answers of participants – people may tell you what they think you want to hear. Prove It! works best if there is a confident member of staff with some experience with working in a participative way with the community and stakeholders involved. Prove It! seeks to measure only the effects of a particular project or initiative. It may not identify activities within other people’s lives that can have an effect on social capital and quality of life in a local area. Who can use Prove It!? Any third sector organisation working on projects and initiatives involving a local community can use Prove it! It can meet the needs of regeneration and community development organisations including Development Trusts. It works best with smaller projects and less well for large projects or those with no community involvement. Prove It! may also be useful for project officers from agencies, local government and other decision makers who are likely to commission evaluations of specific initiatives and use the results to inform policy decisions. The Toolkit follows three steps: deciding what to measure with a Storyboard, collecting information with a Survey and looking back on what actually happened with a Project Reflection workshop. Each step features worksheets and instructions for a range of participative evaluation exercises. Pick and choose from these materials to support your management, measurement and reporting activities throughout the project cycle. In addition, two supporting documents help with evaluation planning and reporting. The Prove It! Toolkit has been designed to help project managers evaluate their own projects. 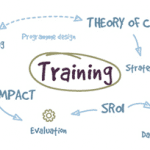 Sometimes we find that users of the Toolkit ask for help or advice in using the different elements of the methodology, and so NEF Consulting are happy to offer bespoke training and support if required. Explore how a project’s intended activities will lead to change. Describe what that change will look like. Identify the best ways of knowing (indicators) that it is happening. The exercise should be used as close to the start of the project as possible, ideally in preparation for a grant application, so subsequent evaluation activity can be planned and incorporated into the project’s delivery. To prove whether a project is making a difference, you first need a hypothesis, or underlying ‘theory of change’ on how the project’s activities (the inputs) produce results (outputs) that help to bring about change (outcomes). The Storyboard and Impact Mapping exercise can be used with a mixed group of staff, volunteers and potential beneficiaries involved in a project in order to map out the ‘theory of change’. By the end of the exercise you should be able to identify the best ways of knowing that change has taken place, and therefore what sort of questions to ask of participants and beneficiaries. Download the instructions for the Storyboard and Impact Mapping exercise. The Survey questionnaire can be used with project participants and community members over the lifetime and beyond the completion of a community-based project. Ideally the survey should be administered before and after the project activities are completed for a sense of the extent to which the project has made a difference. An Excel spreadsheet provides space for responses and to present and compare data collected from two rounds of surveying. Frequency of use of the new space or facility. People’s inclusion, involvement and trust in local decision-making processes. in case of a need for help. The Survey questionnaire contains ready-made demographic questions to help report on the specific groups of people involved in or affected by a project. Download the instructions and the questionnaire / data entry spreadsheet for designing and administering a survey. Project managers can design additional questions for a survey using the additional question templates. Share their version of the project’s story. Describe their personal high points and low points. Identify evidence of the project’s impact. Explore what can be learnt from their experiences of being involved. The Project Reflection Workshop is based on the Look Back Move Forward tool developed by the New Economics Foundation in partnership with the Shell Better Britain Campaign. The interactive poster provides the structure for a 1½ to 2½ hour meeting that can involve project staff, volunteers and members of the wider community. A facilitator, ideally someone other than the project manager, uses the instructions provided to help participants reflect on different aspects of their project. The workshop is designed to explore the unintended and unexpected consequences of a project, and to identify what can be learnt from the experience. A recording sheet is provided to capture the main points of the discussion for a report. Download the Poster, Instructions and the Recording sheet. Access the documents and files that make up the Prove It! Toolkit.